Annabella Hudson is your calm, understanding girl that’s decided to go clubbing with her best friend one night to escaped the pain she saw in her brother’s eyes as he fights for his life. Dancing and drinking with a little flirting never hurt anyone. She just wanted to forget. Annabella’s body swaying left & right caught someone’s attention, Cèsar Del Mar’s attention to be exact. Hot and tall with a dark expression, he lusted over her body. A pain throbbed between his legs as he couldn’t handle anymore. “Bring her to me. I’ll be upstairs,” he whispered to his right hand man before he took off. 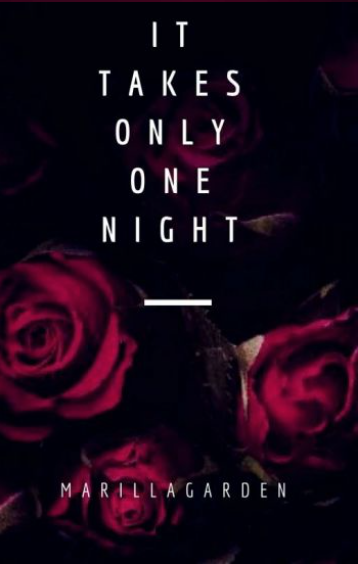 Read “It Takes Only One Night” here.